New QHY294C does this look like a light leak? Curious finding. I took a few darks today in broad daylight with the QSI metal cap screwed onto the QHY294C. 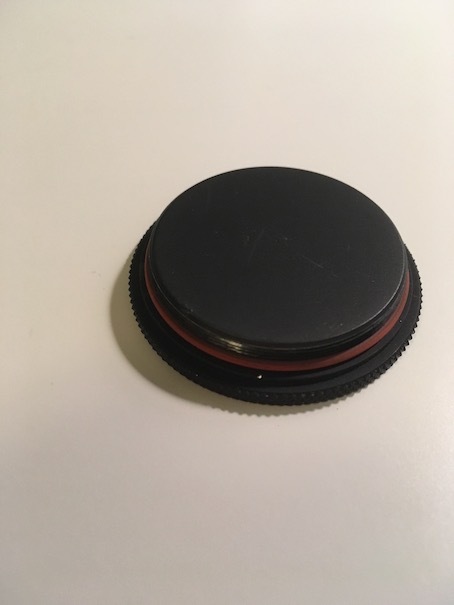 The QSI metal cap is absolutely light proof, being a very thick chunk of metal that in addition to the threaded m42 connection has an o-ring gasket. This is a 60s master dark. I see a diffuse glow in the bottom left corner, not the amp glow. Does this look like light leak? Have you stuck the scope in a totally dark room and acquired some more dark frames? If it is a light leak, eliminating light should help you figure out for sure. No the camera was not attached to the scope. It was on my deck in broad daylight. I'm retaking darks now in a dark room. Edited by andysea, 10 March 2019 - 11:05 PM. Yep Jon you're right, easy to test. 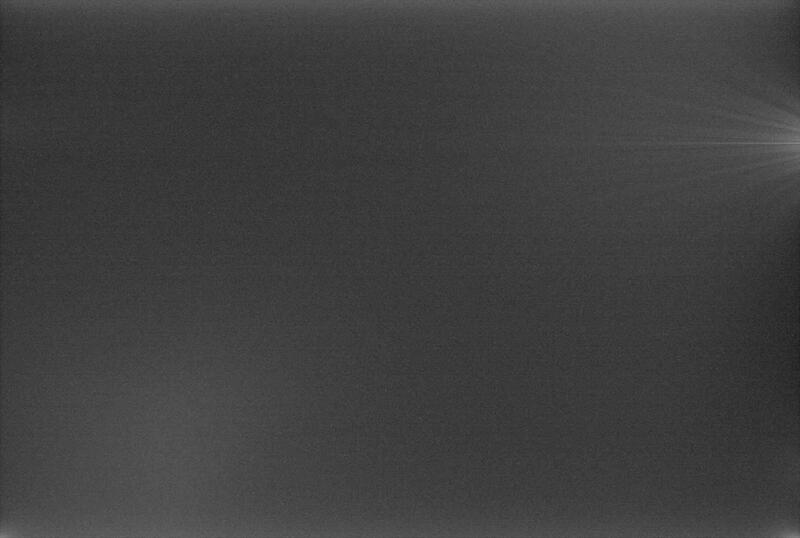 Here is a 60s master dark taken in a dark room. Question is, should I be concerned? Send the camera back for repair? My QSI and Moravian cameras don't do that. Well, I would bring it into the light, still capped, and figure out where it is leaking. It may be as simple as some electrical tape over the right spot. I would also put it on your scope and cap the scope and try to get some darks. It may simply be the camera cap. Given that it's a brand new camera and - I suppose - it comes with some sort of warranty I would rather let QHY figure it out. I highly doubt that it's the cap. I use the QSI cap which is solid metal and it's 3/8" thick. Here is a photo of the cap. Edited by andysea, 10 March 2019 - 11:38 PM. Gocha. Well, I guess you could consider whether imaging with the camera in the sunlight is something you actually intend to do or not. If not, then you may not need to really worry about it, as if the issue does not exist in the dark, then it probably won't matter in practice. There have been some few rare cases where I'v'e noticed slight light leaks with my ASI1600 and ASI183 when trying to capture flats during the day. Usually, tossing a blanket over the scope to shade the camera solved it, so I've never really worried about it. I only do flats against a bare blue sky every great once in a while, otherwise the camera is always used at night in the dark, and light leaks have never been a problem. I guess I am more the type to try and fix it myself if I can (especially if it might just require the addition of a bit of tape) before I send the thing overseas for repair. If something requires disassembly of more than a very simple degree, then I'd probably send it out for repair, but simple stuff...I like to fix it myself and save myself lost camera use time, shipping costs, etc. Edited by Jon Rista, 11 March 2019 - 02:03 AM. Jon you are right. I think I found the cause. My concern was because I bought the camera to use with my RASA 8. As you know the camera goes in front of the telescope. When taking flats my fear is that light would find its way to sensor from the sides that are leaking, throwing off the flats. Ah, yeah. With a RASA, covering the camera might be pretty tough. What was the cause, out of curiosity? I think light was leaking in from the corners of the vent grilles that face toward the front of the camera. There are two corners where there is a bit of a gap. I covered all four of them for good measure and that seems to have taken care of it. Makes me wonder how much dang light is getting in while you image? There are usually all kinds of wierd little light sources from under my rig, battery covers, flickering laptop hd lights, camera recording lights. Im glad you shared this, Im going to check my 183 now. So I’ve been thinking, if light gets in does that mean that the chamber isn’t hermetically sealed? Can moisture get in? Edited by andysea, 12 March 2019 - 11:12 PM. Not all cameras are truly hermetically sealed. That is some higher grade sealing you would expect to find with inert gas-evacuated chambers, and those kinds of cameras are more select and few. For most cameras that use desiccants, the sealing is usually not going to be hermetic. Lot of cameras just use basic o-rings, which are not hermetic and will still allow gas and moisture in. This is particularly true when you consider the pressure change with cooling, which is going to more actively draw in more air (and conversely, let air out as the chamber warms). A hermetic seal must be resilient against pressure change. That is why there are rechargeable desiccant tablets or desiccant capsules included with most astro cameras. My concern when I was writing my previous post was, how are they sealing around the back side of the sensor. If light is getting in...is it sealed at all? If it is sealed, is the seal translucent such that it would allow a light leak from the back regions of the camera? Edited by Jon Rista, 12 March 2019 - 11:25 PM. Oh interesting.  I think my two QSI cameras are like that, they are gas purged and they have desiccant too. I assumed that they were all sealed....I guess not. Thank you for your careful reminder, I went back to check the camera in the storeroom, but fortunately I did not encounter similar problems. Luckily i bought the camera locally. I will go back to the store tomorrow and see what they can do, if they can send the camera back for repair or just take it back. 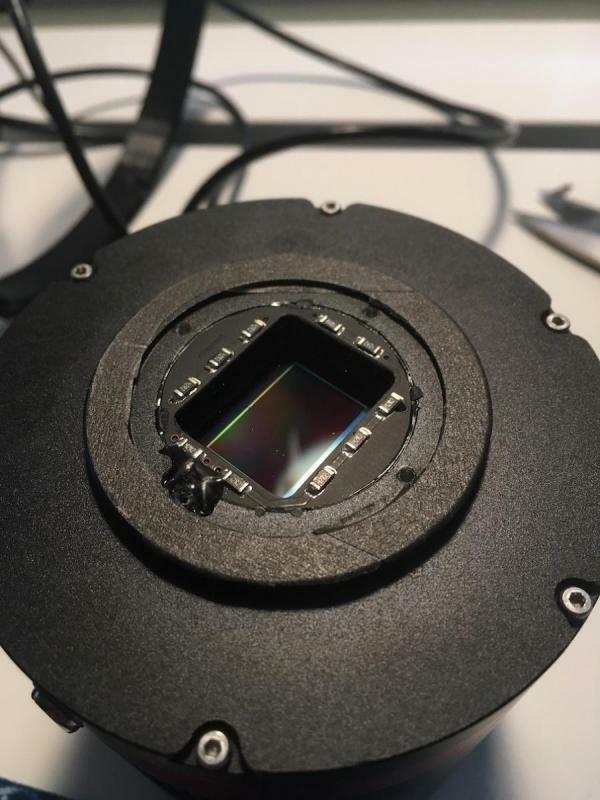 If they replace the camera I definitely would want to test the replacement before I take it home to see if it has the same issue. Aha! I solved the issue! It turns out that the light was getting in from the nose piece. It was either the nosepiece not property seated, not perfectly machined, or a small spec of debris causing a gap. 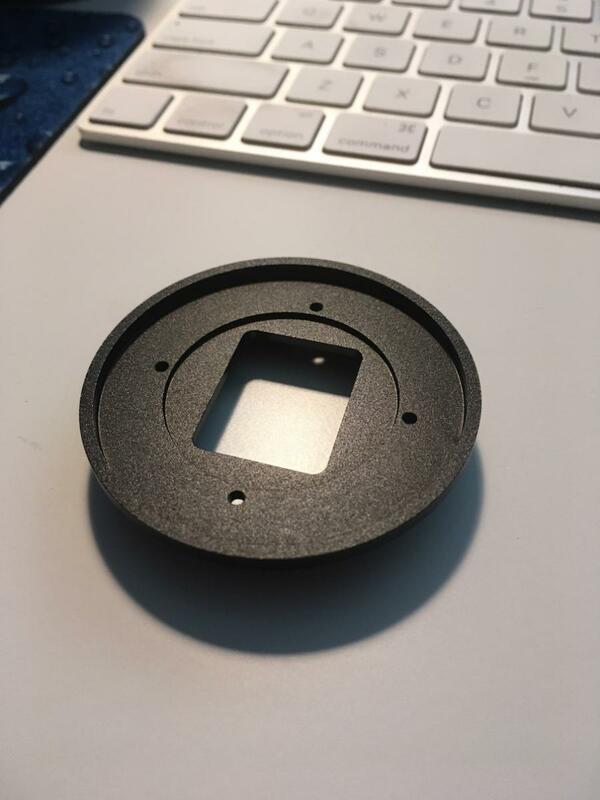 I added one layer of black masking tape to create a positive seal between the nosepiece and the flange on the camera as per the attached photo. When attached the nosepiece back to the camera the glows were gone. There is also a goopy stuff that is visible in the photo maybe that was causing the gap with it's thickness. This was a super subtle issue and it would only manifest when taking long-ish darks in a very bright environment. After the fix I took a few 60s darks with a lamp shiny light right on the camera and I didn't notice any glows. I might buy a new nosepiece from QHY to see if the one that came with my camera was indeed defective. However this has been resolved and I don't need to send the camera back for repair. I would be surprised if other QHY cameras don't have similar leaks. It would be easily resolved if there was a super thin gasket between the nosepiece and the camera body. This is the backside of the nosepiece where light was coming through.